I’m definitely getting into stamping now. 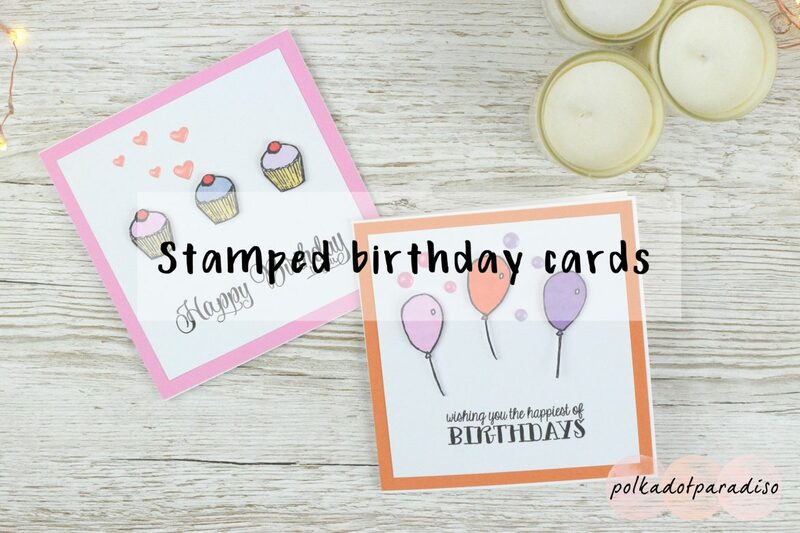 Stamps are quickly becoming my go-to now for birthday cards. I’m still using my Promarkers to colour them in but am gradually gaining confidence to with the watercolours. Soon I’ll attempt some cards with watercoloured stamps. Today I’ve got some more cards following the style of the Lawn Fawn cards I created a few weeks ago. I really love this style and was keen to at least do a few more cards with it before I moved onto something else. As you can probably tell, the ‘string’ of the balloon is quite thin. Thankfully, because the cardstock is quite thick I don’t see them coming off or getting damaged. Maybe if I recreate this design I’ll swap these out for real string. It’s not often I make an orange card but I actually quite like it. I feel like this could almost be a unisex card? The stamp used is from possibly the only stamp set I’ve used in the past couple of months, from Avery Elle. Unfortunately I can’t seem to find that stamp set anywhere anymore though. I think the wooden balloon stamp came from a random independent craft shop. I’ve never really tried anything other than Promarkers pen-wise. They’re a decent beginner pen with a decent price tag. As someone who doesn’t do much colouring, I don’t think it’s worth upgrading to the Spectrum Noir or anything like that. This is my favourite of the two cards. I just love these cupcakes. There’s just something about cute little wooden stamps that I love. I can’t resist picking them up when I’m out craft shopping. The sentiment is from the same Avery Elle set (of course). I added the enamel hearts after a little while as it just felt bare without it. You could definitely leave them out and have a more clean and minimalist looking card though. If you like either of these cards, they’re available to purchase in the shop now!